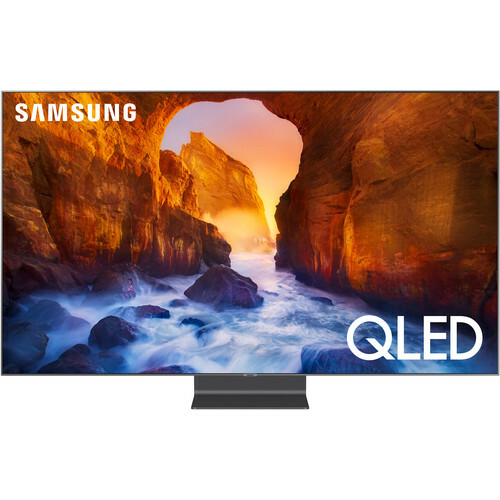 View content at four times the resolution of 1080p with the Samsung Q90 75" Class HDR 4K UHD Smart QLED TV. This TV has a 74.5" Quantum Dot LED-backlit LCD panel, and incorporates Motion Rate 240 technology to digitally enhance fast-moving images to reduce blur. It is compatible with the HDR10, HDR10+, and HLG HDR formats to provide a wider color gamut with compatible content and other equipment for more vivid images. Q90 75" Class HDR 4K UHD Smart QLED TV is rated 4.0 out of 5 by 12. Rated 1 out of 5 by danielcrivelari from Excellent TV... but.... I bought this expensive TV looking forward to play Xbox/PS4 on it. TV arrived today, everything was fine until I try to connect external devices (PS4/XBOX). It didn’t work...tried to reset, change cable, HDMI troubleshoot, change ports, devices... everything ! 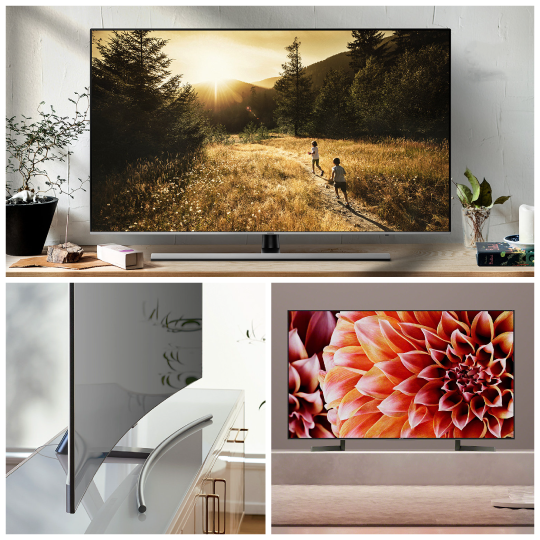 Devices and cables works in other Samsung’s TVs I have (2018 model). I decided to rest and turn off and now the TV doesn’t start !! After waiting 2 weeks (due preorder) I’m really mad because living room TV doesn’t work ! Any help are appreciated... and I really expect something quick (not taking longer than week or two). I believe the connect box are the issue (or cable). Rated 5 out of 5 by Mwanamatapa from Wonderful TV Bought this last week and just received it yesterday. It has a magnificent picture. We are blown away. The setup was easy and we had everything up and going in no time. We wall mounted ours but didn't use the no gap mount as our studs are wider than the width of the mount. Love the One Connect box - makes it so easy to connect everything up without having to take the TV off the wall. Would definitely recommend the Q90 - equal to if not better than OLED and without the burn in issues. Rated 5 out of 5 by Brent1612 from Great features! Quick question I really like the tv but you need a wall mount for the ambient mode to match wall. However, I cannot find one for this tv. Rated 5 out of 5 by LovingMyQ90R from Almost Perfect 65Q90R This TV is nearly perfect. I have Q9FN from last year and this TV definitely improves upon and already great TV. The picture is stunning right out of the box. I have had to make fewer adjustments than with the Q9FN. The wide viewing angle and anti-glare are awesome. Unlike the Sony implementation, you don't lose contrast when viewing at an angle - it is amazing. DSE is very minimal, I was able to watch a few hockey games and didn't notice. Motion is nice and the automatic features (dimming, motion, digital clean view, etc.) actually help with low quality streaming content. HD in 720p/1080p upscales beautifully. 480p content upscaling varies depending on the quality of the source material. I've noticed some Netflix 480p shows upscale similar to 720p while others are just adequate. It is only noticeable because everything else is so perfect. I will say that upscaling from the internal apps is much better (for all resolutions) than from a connected device like a Roku or Apple TV, 4K Content is awesome as you might expect. I also purchased the HW-Q60R sound bar (could not wait and the Q90R sound bar is not out yet). It works very nicely compared to some of the other entry-level models (HW-N550 for example). The new HW-Q* sound bars are made to interface with the QLEDs. I had 0 issues with setup and the intelligent mode along with the soundbar creates a nice user-experience. The HW-Q60R does not have Dolby ATMOS, so if that's important, you may want to wait for the other HW-Q* sound bars. All in all I am very pleased and look forward to seeing how much better Samsung can make the TVs. I am very pleased with this purchase. I purchased the TV via the Samsung EPP program, so I am happy with the price. Note to Samsung: Offer the EPP price to everyone for one month. 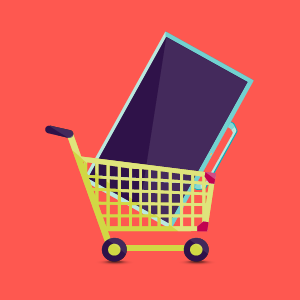 These TVs will fly off the shelves and people will be willing to pay a premium price for this premium TV. Keep up the good work. Rated 3 out of 5 by SmartHomeGeek from OK but not all it is claimed to be I have had this TV for 4 days now, picture is ok but features are not as configurable as I would expect and there is no iTunes app ... that is not available! My advice would be to wait until the features appear before buying.